Digital single released November 16, 2018: "Ticket To Ride"
Please use this thread to post published reviews. Also, when you've personally listened to the new CARPENTERS WITH THE ROYAL PHILHARMONIC ORCHESTRA album in full, place your reviews and comments here. For all matters related to ordering, purchasing, shipping, availability, and delivery, please use the other thread created for that purpose. byline, Joeyesterday, Carpe diem and 3 others like this. a tad on “Carpenters With the Royal Philharmonic Orchestra." voice of the late singer (who died in 1983), which might be a saccharine tragedy if it were. Instead, Richard Carpenter mostly fluffs out the existing songs, leaving his sister’s vocals and the original instrumentation at the forefront. 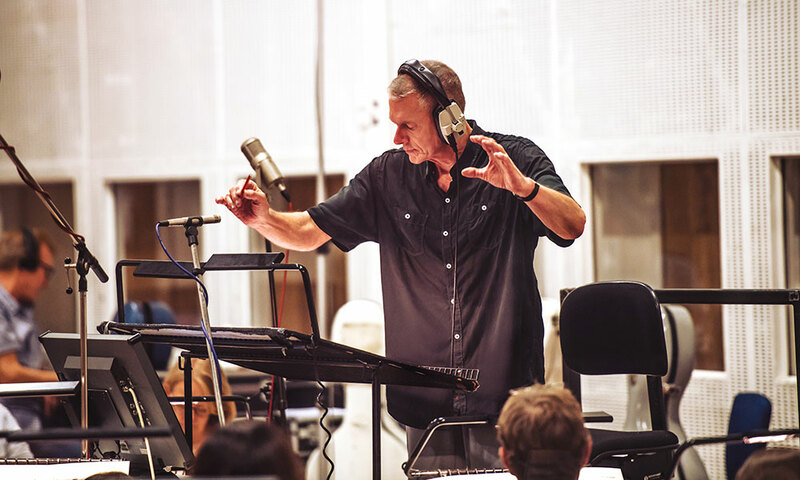 Richard Carpenter – who produced, arranged and conducted the new release – recorded the RPO at London’s Abbey Road Studios in August-- and layered the new instrumentation into the original songs. His touch is subtle at times, more overt at others, yet always reverential to what he and his sister had accomplished." There are a couple of head-scratching twists – some ill-fitting escalation on “Hurting Each Other” and a grating turn in the protracted fade of “Goodbye to Love” – plus not all of the 18 original songs are equally strong (the drowsy “I Believe You” comes to mind). But this is nevertheless a refined spin on vintage songs." Rick-An Ordinary Fool, Jamesj75, Matthew Smith and 1 other person like this. I have to admit, the reviews so far are intriguing. Many of them echo what some of us have said about the difficulty of re-orchestrating songs that are already perfect and the restraint with which the RPO has been employed, but it sounds like we're still in for a few surprises. Rick-An Ordinary Fool, Jamesj75, no1kandrfan and 2 others like this. For the first half of the 1970s they did it with phenomenal success. Karen Carpenter’s pure, heart-rending contralto vocals soared over Richard’s precision-tooled pop melodies and they reeled off hit singles around the world, played more than 800 gigs and put out records that have gone on to sell more than 100 million copies. Then the hits ran out and personal problems crowded in. Richard spent time seeking treatment for addiction to Quaaludes, a sedative and hypnotic drug. Karen battled anorexia, which eventually weakened her to the point where, on February 4, 1983, she succumbed to heart failure at the age of 32, the first known celebrity casualty of an eating disorder. For Richard, 72, half a lifetime has passed since he lost his sister. As he prepares to release a new album of reworked Carpenters songs, he still doesn’t think that her talents or their music have received the serious recognition they deserve. “I think it would make a great doctoral thesis,” he says, sitting in his living room outside Thousand Oaks, a historically conservative city north of Los Angeles. “Not just the impact on popular music that we had, because it was a whole new sound, but on the culture. On society. It was remarkable. “You know, the subculture was becoming the culture. A number of writers — not pop writers, but rock writers — really thought that they’d seen the end of pop music as they knew it, and [then] along we come. We were pilloried,” he says, indignantly. “Unfairly. It wasn’t just the frenzied political climate. The “brother-sister thing” and the “squeaky clean” way the Carpenters were packaged (which they also hated) antagonised people with countercultural tastes. Parents approved of the Carpenters, which disgusted “the other side”, but of course "it was great for record sales". Richard’s comfortable, but hardly grandiose home is in a gated community with a golf course and plenty of fountains, set amid fire-scorched hills. There’s a statue of a boy waving an American flag on his front lawn. Inside the front door there’s a bar next to a jukebox. On the other side of the room two giant fluffy toy chickens from an old advertising campaign are sitting at a chessboard to the right of a pair of purple sofas, on which we sit. Richard is almost unrecognisable from his 1970s heyday; he looks more like a retired US Marines sergeant than an ageing pop star. The infamous pageboy haircut has been replaced by a short grey crop at the top of his small head. A thin gold chain hangs round his sinewy neck. He wears a loose short-sleeved black shirt, dark trousers and wine-red loafers. His movements are occasionally jerky, but his handshake is vice-like, his rich voice is steady and his gaze is steely. The new album is a collaboration with the Royal Philharmonic Orchestra, recorded at Abbey Road Studios. It pairs the Carpenters’ vocals on some of their most beloved songs with new orchestral performances arranged and conducted by Richard. The formula has been tried before to juice CD sales of Elvis Presley, Roy Orbison, Aretha Franklin and the Beach Boys. Richard was torn. “There’s certain people, purists, where if you change one thing they’re not going to be happy. On the other hand there are songs of ours that I’ve heard through the years [and] thought, ‘I’d love to have another crack at the arrangement.’ ” That, combined with the chance to rework the sound on several songs, and to make subtle tweaks that he had imagined over the years, convinced him to do it. He spent eight months on the project, often listening to his sister’s extraordinary voice in isolation. The experience was “upsetting and it was pleasurable, all at the same time”. Over the years he has grown bored with “most of” their songs, but still appreciates a few, “especially now that these changes have been made: it’s like listening to them brand new all over again”. The Carpenters grew up “lower-middle class” in New Haven, Connecticut. They were both shy. Their father was a printer who “truly, truly loved music”. Their mother was loving, but “overly protective and a little bit smothering”. Richard was a piano prodigy and Karen, who was “kind of a tomboy”, was more interested in softball than music. Karen took up drums in high school and her voice began to develop quickly when she was 15. After some initial success in a light jazz instrumental trio, then in a larger vocal harmony group, the Carpenter siblings started recording as a duo with overdubbed vocal parts. They were signed by Herb Alpert’s A&M Records in 1969 when Richard was 22 and Karen was 19. Richard has no idea if they would have been signed even eight years later in the punk and disco era, let alone today, when the music industry is “so different”. His best memories of the early years are late nights in the studio before they were famous, taking breaks to go to Pink’s on La Brea Avenue for hot dogs or heading out bowling, touring their early records at university gyms and being their own roadies. “We just had a hell of a great time,” he says. It didn’t stay that way because they became “massive so quickly” and the goalposts began to move. His life has moved on, though. He has five children by his wife, Mary, all born after Karen’s death. None of them is particularly interested in music, and because their father “never pushed it on them” and hardly ever gets recognised, he doubts that any of them “realise just how big Karen and I were, like headlining Vegas year after year, selling out the Palladium in record time”. He does not say it out of bitterness. That’s just how it is. His large vintage car collection keeps him busy, he reads a lot and he has written some new songs, most of which are Christmas tunes, “because you can get away with shopping a traditional song” at this time of year. They are, he says, “some of the best things that I’ve come up with". But it has been hard to find a singer. Carpenters With the Royal Philharmonic Orchestra is out on UMC. Rick-An Ordinary Fool, Geographer, Jamesj75 and 3 others like this. ^^Thanks for importing that article ! Oh, how I admire Richard Carpenter even more today than ever !! The caption under one photo is in error, that is not 1981. Carl, Rick-An Ordinary Fool, David A and 1 other person like this. Carl, Rick-An Ordinary Fool and John Adam like this. "The Carpenters join forces with the Royal Philharmonic Orchestra for the storied American duo’s 15th album– the first since Richard Carpenter's 2001 project As Time Goes By –using the original vocals of his late sister, Karen, from some of their most iconic songs." with an added depth thanks to the addition of more violins for the second and third verses. to a band critics felt were worth paying attention to – adds gentle flourishes of orchestration to heighten the emotion of Carpenter’s performance. It would have been nice if they’d scrapped that first electric guitar solo, which reduces the poignancy of the opening, and instead let it build to the much better solo that closes the track." "There have been plenty of “reimagined” albums in 2018, which haven’t always worked. Aretha Franklin, Elvis Presley, The Beach Boys and Roy Orbison have all had the RPO treatment, to varying effect. If I Can Dream captured the sweeping, cinematic romance of Presley’s best work then enhanced it; A Brand New Me dumped a load of schmaltz on Franklin classics that were perfect as they were." Fortunately, having Carpenter on board conducting his own arrangements ensures the moments that shone because of their simplicity remain just so, while other sections benefit from a bigger strings section, or the wealth of legendary session musicians (Joe Osborn on bass, Hal Blaine on drums and Earle Dumler on oboe) contributing to the instrumentation. Meanwhile, Karen Carpenter’s voice is as iconic as ever: lush and rich with a wonderful brightness about it. This new album is a wonderful tribute to her – and the band's – legacy." With regards to "The Times" article above, the line where the author says …. "Over the years he has grown bored with “most of” their songs" says a lot to me. It explains so much. no1kandrfan and CarpentersToYou like this. It would have been nice if they’d scrapped that first electric guitar solo, which reduces the poignancy of the opening, and instead let it build to the much better solo that closes the track." This new album is a wonderful tribute to her – and the band's – legacy." This is a poignant, but lovely comment. So far it's been high praise and high scores across the board from all the reviewers. It's good to see the critics confirm what I have suspected about Richard endeavoring to improve and refresh without overdoing. I'm sure Richard went into this having heard the other RPO albums and knew where the goalpost was on this one. David A and no1kandrfan like this. I can't work out how to place the 'spoiler' tag here, so I'm just saying that, seeing as the new album hasn't been released in most parts of the world yet, if you don't want to know details of 'Carpenters with the Royal Philharmonic Orchestra', look away now! You may want to wait to listen to the album yourself before you read this. This is a blow-by-blow description of the first eleven tracks. I guess you'd rather wait to hear the actual music than read about the sounds on the album. I should also say that I am listening to the album on very basic sound equipment. Somebody listening on the latest high-tech equipment will have a different experience. The first few seconds of the Overture that opens the album took my back to 1976. The first couple of passages sound like they're taken from the Overture on Carpenters' Very First Special, but then the music changes. I like the snippet of 'Someday', leading into "Hurting Each Other", is nice. The OK Chorale-type 'Woo-hoo' a bit later in the intro is maybe not so necessary. The drums on this track are more prominent and Karen's vocal, going into the chorus, doesn't sound as 'sweetened' as on early mixes. Upon her first, "Without ever knowing why?" you can hear her tongue touching her lips. Maybe this little section is from a different take from what is usually appears, but almost all of the vocal, if not all, is what has always appeared. The strings sound very much like re-recordings of the original arrangements - at least, in parts of the song. In this mix, you have a sense of more defined stops, if only for a second at a time. There's a slight slowing down or pause in the vocals in the last chorus. And a sudden stop, similar to the way the song was ended in concert in Australia in 1972. As I listen to this album, I'm getting the feeling of being at a current-day concert with the songs being performed as faithfully as possible, but with a few embellishments and with a clearly defined, modern-day orchestra behind Karen and Richard. Going into 'I Need to Be In Love', there's a very hushed section, which I like. The piano is quite prominent at the beginning of the song, and it doesn't exactly sound acoustic. There's a faithful reproduction of Gayle Levant's original harp part. Drums throughout are the most noticeable difference - quite loud. Karen's vocals on the the choruses sound harder...not as echoey or gauzey as on previous mixes. The oboe at the end of this great song is nice and the piano ending is just slightly more elaborate, as in it has an extra little trill. Notice that I'm not talking much about the actual involvement of the orchestra. The parts are very subtle and, upon first listen, I'm not hearing them too much. In fact, I think that Richard has largely used his arrangements / charts from the original recordings, with just a few extra flourishes or passages here and there. I really like the acoustic-sounding snippet of guitar at the beginning of 'For All We Know', then the famous oboe sound. Beautiful. Flute comes in during the second verse. It's different to hear acoustic guitar on Carpenters recordings. Yes, we heard it on 'At the End of a Song', 'Honolulu City Lights' and some others, but it suits 'For All We Know' really well, in that intro. Can you imagine that? So far throughout the album, the lead vocals and backgrounds have sounded very much as on the original releases. Someone with better equipment would definitely pick up their definition much better. The additions / changes to 'Touch Me When We're Dancing' are super-subtle. I wondered if there might be a bit more guitar and in fact it does sound a bit more pronounced...maybe re-recorded...in the second verse. That's a really nice sound. The synth part after 'Play us a groove so we hardly move' sounds more pronounced. It's during this song that I first noticed quite major differences with the vocals, but only with the backgrounds. It sounds as if the 'Carpettes' from 'Made in America', (Julia and Maxine, etc. ), might have been erased!! They must have fallen out of favour! It sounds very much to me, upon very first listen, that only Karen and Richard are in the background. It makes for a nice change! On 'I Believe You', I have always loved the flute. That's quite prominent upon this mix. That's really nice! The background vocals are mixed differently. The second verse, "I Believe you when you tell me every time we make love will be the first time" is definitely a different take, with different phrasing and pauses for breathe, while the very first verse is almost certainly the same take as always. The orchestra behind and flute sounds nice! The background vocals are very much more prominent than on previous pressings, and are probably actually mixed differently. There is a change of lead vocal just before the drum break. The drums are the original drums, by the way. There is a sense of snippets of different takes being punched in and out, rather than the complete version being a different vocal. The flugelhorn after the drum break is just a bit overpowering, maybe. It sounds a bit like a fox-hunt..or at least a Greek God on Mount Olympus blowing a conch to herald heavier lovin' action. That's the first bit that's sounded just a bit out of place. There are music-box lullaby-type keyboards towards the end, which is nice. There is a nice 1978 Carpenters-style piano and oboe / flute, (not sure of my instruments here), introducing 'I Just Fall In Love Again'. The piano part is different. Karen's vocals are very much at the front. There is lots of orchestra coming in just before the first chorus. This mix sounds quite 1950s blue-birds, soft clouds and Valentines, but I think the song was always meant to sound that way, and I like that. The drums are the original recording - at least, in some sections. Oh-oh, there's a choir coming in during the second chorus. Don't worry, it didn't steam, stayed very much in the background and then left the party. There's the original fuzz-guitar solo, thank goodness. The vocal sounds different, but I think that's only because it's so much at the fore-front. It is slightly possible that parts of Karen's lead are a different take....but I don't think so. Well, on "I Just Fall in Love Again", the orchestra definitely makes its present felt more, but so do Karen in her vocals and Richard on piano. The orchestra over the piano introduction to "Baby It's You" sounds good. There's some nice harp in there. Sections of the oboe part at the beginning of the song are from the original arrangement, but with a couple more flourishes. Dramatic string work emphasises Karen's exclamation, "They say you've never, ever been true!" The original sax sounds in all its glory. The vocals sound very much the same as always. The beginning of 'Close to You' sounds very much the same. Bass and drums coming in very prominently when they begin. The main change in the first half of this, Carpenters' very first hit, is mainly in the bass and drums department. Original trumpet part. Well, how could you change that? Karen's angelic "Ah-ah-ah" just after the trumpet break sounds different. Mixed differently, perhaps? The 'Wa-ah-ah-ah-ahhhh' at the end of the song are mixed differently, or might have some parts of different takes in there. The song finishes the way Carpenters used to end it in concert around '74. And straight into 'Superstar'. The introduction is virtually the same arrangement as the original. Some more prominent guitar...in fact some prominent acoustic guitar. Nice! Also, some 1971-Richard-on-electric-piano sounds. Equally as nice! Couldn't do without them! The orchestra is very strong on this song, but probably using a very similar arrangement to what was used in 1970s concerts by Carpenters, when they had orchestra backing them. The whole effect, with Karen's longing, insistently vocals, definitely adds a sense of drama - if you ever could add drama to the brilliant original! I like and the harp, slowing to a halt at the end, gives the sense of...dot..dot..dot..., that you have at the end of stories when you're left to ponder over what might have happened. 'Rainy Days and Mondays' includes a mist-storm of strings, to add pathos to Karen's dark but warm reading. Yes, there are changes to the piano parts and drums, but the alterations are very much in keeping with the mood of the original. Richard is really hitting his stride here, with 'Superstar' and 'Rainy Days and Mondays'. Karen is given space just before the instrumental break, so that the note that she holds, '...always get me down....' sounds different and more angst-filled. All-in-all, 'Carpenters with the Royal Philharmonic Orchestra' will seem like a new listening experience for the long-term fans, without turning them off with stark changes. I very much got a mental picture of attending a concert with Karen and Richard appearing as holograms, mainly using the original vocals and backgrounds, but with some new rhythm parts, sections for other instruments and an orchestra behind them, playing partly original arrangements, but embellished with new sections of arrangement. I look forward to listening to this album many more times and better-noticing all the changes and additions. Sorry that I haven't had time to answer anybody's questions. I have to rush to work now!! I haven't even got time to re-read this, or finish listening to the songs! Carl, AnnaSock, Jeremy Cawili and 3 others like this. It’s gone midnight here in London, the new album is now available and I’ve booked tomorrow morning off work especially so I can stay up late this evening, drink in the new album (via headphones) and post my initial review in real time. After reading the press reviews and having watched the moving BBC interview with Richard this morning, I’ve made my peace with the fact that the RPO treatment seems to be more restrained overall than I had initially expected. It must have been a monumental challenge to improve on perfection. That said, I’ve got a feeling there will be a few lovely unexpected surprises and I’m excited to hear what might happen once I press “play”. This starts exactly like the 1976 concert intro that we’re all familiar with. Goosebumps. Goodness knows what Richard must have felt recording it. Beautiful swells and some chorale vocals which take us beautifully - and unexpectedly - into Yesterday Once More. Hearing this in context makes it sound absolutely gorgeous. I take all my previous criticisms back: it’s beautiful. I hear a few things like guitar twists that I didn’t hear on the online single version. The orchestral link from the previous track includes a few notes from Close To You and two lines from Someday. The stereo orchestra absolutely transforms this song and gives it new life. The new drum track gives the track extra life. I also hear extra reverb on Karen’s voice on the lines “you could love only me”. Cold ending into the interlude that leads to the next track. So far so beautiful. New orchestral introduction and piano from the orchestral segue. New drums and piano throughout as well. It sounds like the chorale is the original. Karen’s vocal is more intimate than ever but heavily reverbed on the choruses and the whole recording sounds compressed. What a surprise. Cold opening Flamenco guitar intro into this, absolutely beautiful. For a second I thought it was the long lost guitar opening that was wiped on the original recording. The new arrangement of a bigger orchestra in the verses breathes new life into this track and the woodwinds in the verses are lovely. This is the track I was most nervous about. Already beautifully orchestrated and never subjected to a remix, what more could the RPO add to my all time favourite Carpenters track? No difference in the opening of the song, except the new orchestra mirrors the original orchestration. Original drum track. The RPO seems buried and matches the arrangement of the rest of the song. Karen’s vocal on the verses is more up front with much less reverb but there seems to be more reverb in the choruses and for some reason, to me the backgrounds sound muddier than the original track. The arrangement is a mirror image of the original. I saw a spoiler earlier today that mentioned there is an alternate lead vocal on this. I don’t hear that at all, except the word “freckled”, which sounds more pronounced. Not sure if that’s just because Karen’s vocals are clearer. Another example of a mirror image of the original arrangement. The “oohs” in the second verse are slightly louder in the mix. A few nice harp swells in the verses. New drums on this as well, most notably after the “honey I love you” break. Clean ending. After reading the review today that the RPO treatment on this track was “jaw-droppingly beautiful” I couldn’t wait to hear the result. First of all there’s a lovely intro to this echoing the melody of the previous track, complete with woodwinds which then shifts into this song. This is the absolute standout on the entire album. You can hear every noise from Karen’s mouth, her vocal is so up front and present. Gone is the Passage version and the muddy sound. The new drums, piano (and bass?!) are impressive but the orchestra and Karen’s remixed vocal transform this song. Nice segue from the last track, cold opening. This is the other of the two album tracks I was dying to hear with the RPO treatment, since neither really gets much love compilation-wise. Wow. Segued intro and orchestral swell before Karen begins to sing. Just beautiful. Completely different to the album version. Karen’s vocal sounds brand new and again, we hear every vocal nuance. New piano and the orchestral stabs in the verses prove this was a very wise choice as an album track. Original drum track and woodwinds (to my ears). Same orchestral arrangement but yet again new drum and piano tracks. The acoustic guitar twists in the verses add a lovely new dimension. The re-recorded orchestra gives much more depth to the song and the swell just before “come back and play your sad guitar” is lovely. Cold opening but feature new piano and drums and the orchestra is beautiful and very present right from the word go. The strings in the second verse have gone completely and are augmented by a new piano overdub. Sounds like the original harmonica. The strings are also missing from the sax solo. I love that Richard reinstated the final drum tom-tom fill at the end of the song. I always missed that on the remix. Nice orchestral flourish to accompany Karen’s closing vocal instead of it being cold. Cold intro, sounds exactly the same until we get to the second verse, when the new orchestra comes in with new lines. Original piano and flute solos but some gorgeous orchestral touches in the background. Some lovely new orchestral parts in the last half of the song. Fade out. Cold intro but I’ve compared this to the single released a few weeks ago and the piano track has been replaced. That was a massive surprise. Sounds like a completely different track to the one we heard a few weeks ago. Much clearer. Cold opening and no discernible difference until the orchestra creeps in on the second verse. New piano and drums. Tony Peluso’s guitar solos are intact but you can hear the orchestra working in the background. The woodwind over the latter part of the song just before the second guitar solo is awful. Yet another remix of this song . The orchestra is a cut and paste of the original for the most part, except for a couple of new licks in the second verse.. Slightly louder percussion. I’m not sure this track benefits from the RPO treatment - I doubt the casual listener would hear any difference. The interlude to this is a lovely hark back to the version on PACC, albeit with a chorale. It segued seamlessly into the track. New drum and piano tracks as well as some nice orchestral parts in both the verses and choruses. I can’t reallly begin to describe what it felt like listening to this album from start to finish. Unbelievably emotional. Putting the singles into context made it a completely different experience. None of the previously released tracks - in isolation - did this album any justice. It’s an absolute work of art and Richard was right to say he’s terribly proud of it for his sister and for him. Carl, AnnaSock, Feadster and 7 others like this. Are the I Believe You alternate vocals the same as those from the SACD? I've just heard "Hurting Each Other". The drums are...weird. They were clearly done over by someone else and they are missing the impact of the original. The strings are truly lovely though. no1kandrfan and Nawvish74 like this. "Goodbye to Love" has an odd vocal edit. "So I've made my mind up / I must live my life alone". "Alone" is faded out oddly and then we get to "and though it's...". I can't tell if they've moved to another "take" or not but it sure sounds off and that will bother me. The mix otherwise is very good. The piccolo trumpet at the end is an interesting touch. The first verse is the original ‘Made in America’ take, I would say. The second verse is not from ‘Made in America’. The rest of the song mainly seems to be the ‘Made in America’ take, with maybe a couple of different phrases punched in. I’m not familiar with the SACD version. This is all from one listen, mind you. I apologise for my poorly-written piece. Sorry about all the mistakes. I hope you can make sense of it. WHO knew all we needed to heal our hurting hearts at the end of this somewhat dire year was the music of the Carpenters reworked with the Royal Philharmonic Orchestra? Upon listening to these new reworkings, it's almost baffling to think the US duo's original music was not recorded this way. It all seems just right. The Carpenters' greatest pop masterpieces have been reimagined, with Richard Carpenter conducting his own new arrangements along with his late sister Karen's immortal vocals. Richard also acted as the album's producer and arranger, and his involvement in every single piece is distinct. There have been a swathe of RPO collaborations lately but this one stands head and shoulders above the lot. Standouts include the orchestra-backed version of Yesterday Once More, the jaw-droppingly stunning I Just Fall In Love Again and Goodbye To Love. A must-have album for any fans of the Carpenters. Or just anyone who enjoys music, full stop. Geographer, David A, Jamesj75 and 4 others like this. I like most of what I hear on the album but I agree with you about the drums on ‘Hurting Each Other’, Ed. I think especially the rim-shots throughout the verses seem to somehow slow the song down and take away its urgency. I only noticed that upon second listen. First time, I thought it sounded fine. ThaFunkyFakeTation and Nawvish74 like this. Recorded at Abbey Road Studios, with Richard Carpenter himself at the helm, the Carpenters orchestral album make the duo’s classic songs richer. Richard Carpenter said that the experience of setting his late sister Karen’s sparkling vocals to brand new arrangements for a Carpenters orchestral album “just brought a smile to my face”, adding that working with London’s Royal Philharmonic Orchestra (RPO) was “a dream come true”. What better place to record a new Carpenters version of ‘Ticket To Ride’ than the historic Studio Two in Abbey Road Studios in London? It was the place where The Beatles recorded the original version in 1965, five years before the song was first covered by Carpenters. Listen to Carpenters With The Royal Philharmonic Orchestra right now. Richard remains in awe of his sister’s voice, a quarter of a century after her tragic death at the age of 32. “Karen was marvellous, she is one of the greatest singers who ever lived,” said the pianist, producer and arranger, who was one half of a duo that have sold more than 150 million records worldwide. The A&M/UMe album Carpenters With The Royal Philharmonic Orchestra features new versions of 17 of their best songs, including ‘(They Long To Be) Close to You’. The song, written by Burt Bacharach and Hal David, was a breakthrough hit for Carpenters in 1970, earning a Grammy for best contemporary performance by a duo or group. Though Richard Carpenter recognises that the original was “a perfect record”, recording a Carpenters orchestral album gave him the opportunity to set their classics on a larger scale, with an orchestra of nearly 80 musicians. When he arrived at Abbey Road in August 2018, Carpenter, who had finished working on the arrangements on a piano in his hotel room, started with the sound of the strings. As well as playing piano, Wurlitzer electric piano and harpsichord on the original version of ‘(They Long To Be) Close To You’, he scored the orchestration. That 1970 version featured a sparse string arrangement, for around 10 violins, which he thought “sounded a bit thin”. On this new orchestrated version, he was able to quadruple the number of violins. “It’s the same line, but it’s richer, because there are so many more players,” the 72-year-old said. The track exemplifies the benefits of having the resources of one of the world’s great orchestras, as they beautifully underscore Karen Carpenter’s shimmering vocals. The Carpenters orchestral album opens with a sweeping overture and includes lush new versions of their biggest hits, including their 1973 Billboard No.1 ‘Top Of The World’ (1973). The album also has new versions of their US chart hits ‘We’ve Only Just Begun’ (1970), ‘Superstar’ (1971), ‘Rainy Days And Mondays’ (1971), ‘Hurting Each Other’ (1972) and ‘Yesterday Once More’ (1973). Some of the most memorable takes, however, are versions of songs that may be less well known, such as ‘This Masquerade’, written by Leon Russell, which first appeared on the 1973 album Now & Then. Richard Carpenter said that part of the thrill of re-examining such a terrific back catalogue – which he described as having a “second crack” at songs – was to find a way to “augment the original without overdoing it”. He pulls off this trick throughout, on tracks such as ‘For All We Know’, which starts with Spanish guitar and woodwind before the vocals sweep in, and the sentimental ‘Merry Christmas, Darling’. Carpenter expertly blends the sounds of the core musicians, including Bob Messenger and Tony Peluso, and esteemed guest musicians – such as Joe Osborn on bass, Hal Blaine on drums, Chuck Findlay on trumpet, Earle Dumler on oboe, Tommy Morgan on harmonica, Buddy Emmons on pedal steel and Tom Scott and Doug Strawn on saxophones – with an orchestra renowned for its exceptional quality and versatility. All the components come together on a haunting version of Carpenters’ 1977 song ‘I Just Fall In Love Again’, which was later a hit for both Anne Murray and Dusty Springfield. In addition to an imposing ballad version of The Beatles’ classic, on which Karen Carpenter’s voice is as clear as a forest bird, there is a blissful version of ‘Yesterday Once More’, which remains a favourite of Richard’s own compositions. After returning to America, Richard Carpenter went into Capitol Studios to finish the final mixes, bringing his own Steinway piano into the studio in Los Angeles “to give it a feel of home”. The whole Carpenters orchestral album has an intimate feel and is clearly a labour of love. Carpenters set a new standard for melodic pop in the 70s and these refreshed tracks allow Karen’s voice to soar anew. Showcasing that voice was Richard’s “number one reason for undertaking the project”. He has fulfilled that ambition handsomely. Rick-An Ordinary Fool, David A, Jamesj75 and 2 others like this. Rick-An Ordinary Fool, byline, Jorge and 1 other person like this. Very true. This is the absolute standout track on the whole album. GaryAlan and CraigGA like this. Yes, I agree. And "Baby It's You" is a close second for me. I love what he did with that song. But I have to say I'm not at all a fan of the overture. I had really high expectations for it, and the choir just ruined it for me. Otherwise, I'm very happy and will be playing the heck out of this album for a long time to come. Gayle, Darthskyguy, byline and 1 other person like this.